Knowing when and how to obtain permission to use copyright-protected materials and how to avoid copyright infringement isn’t always straightforward. If you have questions about copyright permissions and infringement, these to-the-point answers to commonly asked questions may assist you. Don’t be fooled by excuses for using copyright materials without obtaining permission. As always, please don’t rely on our short, practical answers as legal advice or opinions. Contact an attorney should you be faced with a issues concerning copyright permissions and infringement. My organization is developing a course on work habits to be used for internal purposes only for all our employees. We’re gathering articles from various academic and non-academic publications. Is it necessary to obtain permission to use these articles in our course materials? It’s best to first look towards your country’s Copyright Act. Is there a fair use or fair dealing provision in your Act? If so, apply your specific circumstances to the purposes and conditions set out in the statutory language and make a judgment call as to whether you need permission. Remember that it’s a judgment call. 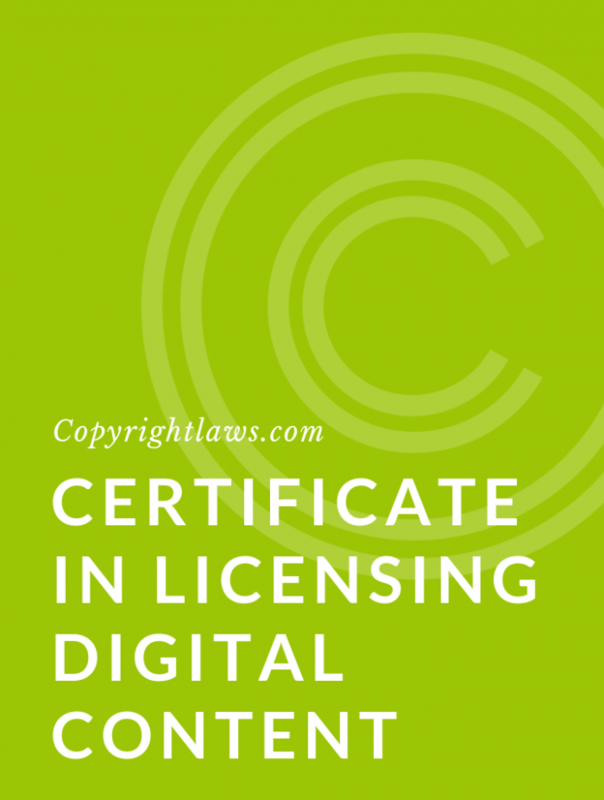 If your organization wants greater certainty, then you could obtain permission from the copyright owners (possibly authors or publishers), or from a copyright collective such as the Copyright Clearance Center (in the U.S.) or Access Copyright (in Canada). You may be interested in Understanding Layers of Rights. I’m translating a book from French into English. Do I approach the publisher or author of the French book for permission to do so? And who owns the rights in the English translation? It’s a good assumption that you need to obtain permission to translate a book. Contact either the publisher or author, whoever is easier to reach. Then ask them who owns the rights in the French book (as this would be subject to a publishing agreement). The translator of a work owns the copyright in the translation, in this case the English version. My enterprise organizes an annual essay writing contest. We post the winning entries on our website and distribute a DVD with all entries. Do we need permission to do this? Yes, copyright in an essay belongs to the author of that essay. This is true even in a contest situation. Your contest entry form could include permission from the author to you for any uses you need to make of the entry. For winning entries, you may want to go further and obtain permission to use the name of the author, and perhaps their photo. My company writes textbooks. We obtain permissions to use existing copyright-protected materials owned by others in our textbooks. Now we would like to license our content/textbooks to a third party. Do we have the right to do that? When you license content owned by others, you can ask for permission to relicense that content to third parties. Or if you prefer not to do so (as it may cost you additional money), you may want to inform third parties that they may need to obtain their own permissions/licenses prior to reproducing your content/textbooks. My organization has purchased a journal article from a document supplier. May I send the article to a third party for translation into another language or does this infringe the “further reproduction, electronic storage or electronic transmission” which was expressly prohibited in the invoice from the document supplier? Unless you own the copyright in a work, whenever you translate a work or have someone translate it on your behalf, you need permission from the copyright owner of that work. Translation is one of the exclusive rights of a copyright holder. It is an adaptation of a work that requires advance permission. Do you need permission when a painting or sculpture appears in the background of a photograph of a person? Some countries have exceptions from copyright law for the incidental inclusion of copyright-protected works in other copyright-protected material. Generally, for the exception to apply, the use must be incidental and not deliberate. For example, the exception may allow a journalist to photograph a person with a painting in the background. If I find an image on Google Images, can I use it in a book published by a non-profit organization? See our article Copyright and Using Google Images. Is it legal to use someone else’s recipe and publish it in a book or blog if you credit the author of the recipe? A recipe may be protected by copyright if it’s more than a mere listing of ingredients; for example, if there are instructions on how to prepare and cook the ingredients. The ideas in the recipe aren’t protected, just the words used to express the ideas. So you may not copy the recipe per se (even if you credit the author), but you could create a similar recipe using your own words. In addition, it may be a matter of ethics and common courtesy to mention the cookbook, website or blog where a recipe originated, or indicate that your recipe is based on, adapted from or inspired by a particular source. 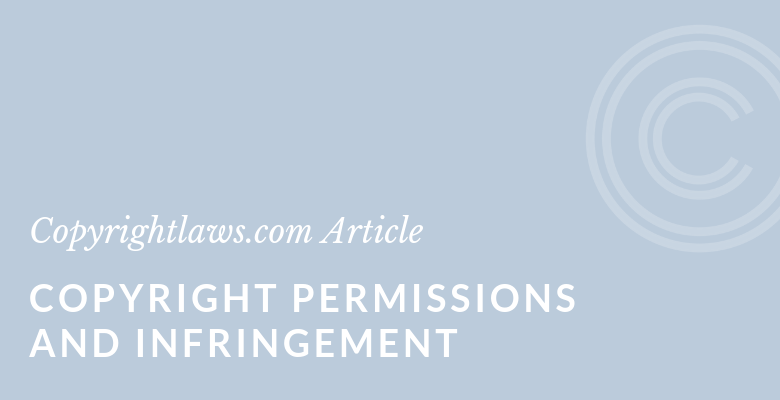 You may be interested in our article Copyright Protection in Recipes. The nonprofit I work for is putting together a workbook and accompanying video. If we include short quotations or summaries (both cited) to help illustrate a point, can we sell the material? Short portions of a work such as quotations or summaries may be used in some circumstances without obtaining permission. However, this depends on each particular case. You must examine various factors such as what portion you copied (both percent-wise and whether the portion used is the heart of the work), competition with the original work, and more. In some countries, this may be covered by fair use or fair dealing. Whether you sell the material or not is not by itself determinative of whether you require permission. How do I obtain permission to use a work created by a foreign author? If you need to obtain permission, you must contact the copyright holder or their representative, including a copyright collective, to obtain that permission. Do I always have to pay for copyright permissions? It’s up to the copyright owner to make this determination. If the copyright owner asks for a fee, you may be able to negotiate a lower fee, or negotiate for specific terms and conditions related to the fee. I’m creating tutorials for my blog based on a book I purchased. Do I need permission from the author of the book? No. Permission is required to reproduce part of or the entire book; however, you may use the ideas in the book, explain them to others and base tutorials on the contents of the book without permission. Copyright infringement is, simply put, using copyright-protected materials without permission from the copyright holder or, in other words, an unauthorized use of one or more of the exclusive rights of a copyright owner. Generally, in an infringement claim, the alleged copyright owner must own a valid copyright in the work in question, and there must be copying of that work that falls within the copyright statute and that’s not subject to an exception. My organization’s website has several photographs on it. We have a written agreement with the photographer of one of the images, but a second alleged owner of the photograph recently asked us to remove it, with the claim that we didn’t have permission to post it. Should we remove the photograph? You need to determine who in fact is the owner of the photograph and whether you have permission from this owner. Does your permission/license with the photographer state that that person is in fact the owner of the photograph, that it is an original work, and that the photographer has permission to enter into this agreement? Is the alleged owner who recently contacted you able to prove they own copyright in the photograph? Some investigation should reveal the owner of the photograph. I recently purchased a DVD movie on Ebay. When I received the DVD the label on it seemed homemade and there was no box or cover for it. I assume it’s a pirated copy. Where do I report this? Contact Ebay and the Motion Picture Association of America. You should also contact the seller and ask for your money back. For pirated computer software and digital content, contact the Software & Information Industry Association. Can you go to jail for copyright infringement? Most countries’ copyright statutes provide for some criminal liability for copyright infringement. It is unlikely that there would be criminal liability for photocopying a single article in a library. Criminal liability would be for large-scale piracy and likely willful copying where the user knew or had reason to know that their actions were illegal. Copyright infringement is defined in each country according to the laws in that country. Will our company’s copyright compliance policy exempt us from liability for copyright infringement by our employees? Although certain legislation or case law may provide some advantages for your copyright policy limiting your enterprise’s liability in specified circumstances, for the most part your policy will not exempt you from liability for your employees’ copyright infringement. 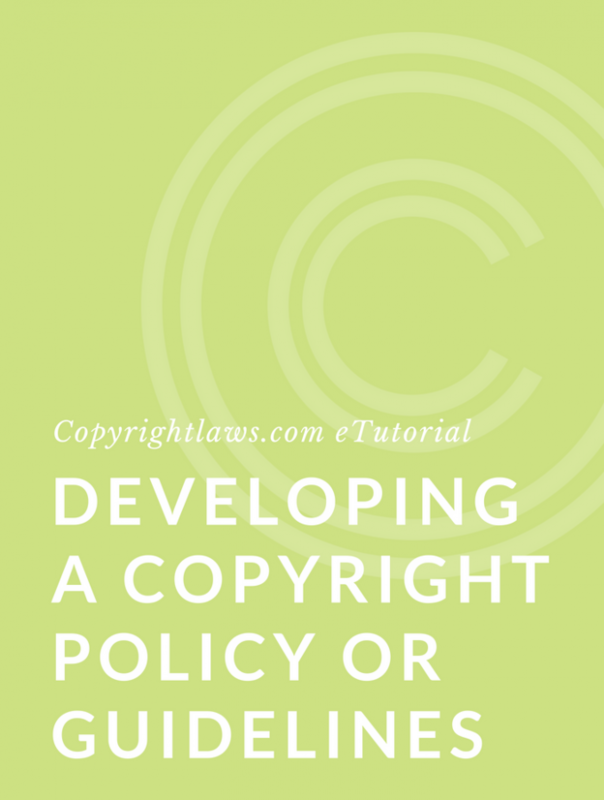 However, your policy will help educate staff in your enterprise about copyright and in doing so may lower the occurrences of copyright-protected material being used without permission. See Tips for Developing A Copyright Compliance Policy. If I want to do a “Where’s Waldo” type of book, using a “Where’s __?” (someone else), what copyright issues need I be concerned about? There is no copyright protection in ideas, so you can create a similar idea to the “Where’s Waldo” books. Your content should be original and not copied from anywhere else, unless you have permission to include that content in your book. I’m an artist and plan to make a pencil drawing of a photo, with 25 percent of the drawing being different from the photo. Is that an infringement of copyright in the photo? There is no percentage that makes copying legal or illegal. Copying any amount more than a “substantial” amount (which is not clearly defined in the law) requires permission. This is a judgment call in each particular circumstance and may require an analysis of fair use or fair dealing as set out in your country’s copyright statute. See 6 Essential Tips for Legally Using Images. As an online seller can I take a picture of a book or DVD cover and copy the synopsis material from the inside cover or DVD packaging, and simply reference it “as described by the publisher/author”? You generally need permission to reproduce the cover of a book or DVD package you view online. Generally, the publisher/producer owns the rights to the cover art so start by asking the publisher/producer. Reproducing a small portion of the book may be permissible and it is arguable that copying the synopsis material may be legal; however, it depends on the circumstances in each situation. Summarizing the contents of the book in your own words is fine and does not require permission. Is it an infringement to distort an image (e.g., create an animated GIF out of a static image, or an image on a button that changes color when you hover over it)? When manipulating images in any manner, you may need the permission from the copyright holder for the right of reproduction and adaptation. You should also be concerned about moral rights (i.e., it may be an infringement of moral rights if you make changes that may harm the reputation of the creator of the work). see our online course Legally Using Images.